StriderKiwi I cannot confirm nor deny whether my real name is "Seto Kaiba." Joined on July 15th 2016, last online 1 hour ago. 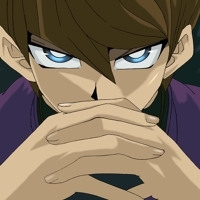 I cannot confirm nor deny whether my real name is "Seto Kaiba." Sorry, 64th friend here. We need to message Admins to increase that threshold, BRB. That's a tiny limit. No worries.  Very funny comment spiderman! It's actually not the limit but I don't go above 64. There were 64 Kerotans in MGS3 so each friend represents 1 Kerotan. thanks for the friend request on here, always appreciate them, hope you having a nice Christmas and aren't being too mean to your little brother! If you're reading my comments in Kaiba's voice, then everything is going as planned. Which anime is this from, then I will. What anime is thia from, then I will do it. About Me: I'm very important.